If you have been following along with the prospect previews so far, we have looked at outfielders that are close to being called up to the big show or started this season in the MLB and a few shortstops to keep an eye on for those in keeper and dynasty leagues. This week in prospect preview we will be looking at two prospects in the same division, same position, the same age…and the same name? That’s right we will be looking at not one, but both Luis Gacias. These guys are basically clones with similar hitting profiles present and future. Both these guys are two or more years away, therefore this will be geared entirely towards dynasty leagues or those with prospect rosters. This Luis Garcia is an 18-year-old shortstop in the Washington Nationals system who was signed on July 2nd, 2016. Coming into this season he is ranked as the third best prospect in the Nationals system according to MLB.com. Luis can easily be the number one prospect in 2020, as the only guys ahead of him (Victor Robles and Carter Kieboom) could lose their rookie eligibility this season. In fact, Robles is about 20 at bats away from losing his rookie eligibility coming into today. Then as we discussed last week, Kieboom could come up and contribute this season resulting in Garcia becoming the default top prospect. He has started this season at the AA level; you read that right, an 18-year-old being aggressively placed at AA. This isn’t the first time the Nationals have been aggressive with a prospect, but as a fantasy owner how aggressive do we want them to be? As you can see above, Garcia’s weakest tool is power. Though this is typical as power is usually the last tool to evolve. At this point I wouldn’t project more than 15 home runs at the peak of Garcia’s power. If he can hit 15 home runs and get 25 stolen bases with a high average then that can be really useful for fantasy owners in the future. One red flag for me is his walk rate (5.9% at A ball and 5.4% A+ Ball). In Garcia’s development, I would really like to see that number double closer to the 10% mark. Personally I am not a huge fan of players who do not walk for their hitter profiles. The biggest obstacle for Luis Garcia at this moment is playing time. With Trea Turner firmly planted at shortstop, Anthony Rendon at the hot corner and Carter Kieboom projected as the future second basemen there is no room for Garcia at this time. (Note, though, that at the end of this season, Rendon is a free agent.) Garcia’s development this year may have some impact how the Nationals want to play out their infield long-term. At this moment Luis is projected to reach the majors in 2021, and I do not see how that can get fast tracked any faster, though this year may be the last year to get him for cheap. This Luis Garcia is an 18-year-old shortstop in the Philadelphia Phillies system. He was signed by the Phillies on July 2nd 2017 and is currently ranked the fourth best player in their system. Similar to the other Garcia, this Luis could come into 2020 as the number 1 prospect in the Phillies system though the path to that ranking could be different. The difference is that the Phillies do not have a clear number 1 prospect. The three guys ranked ahead of him (Alec Bohm, Adonis Medina and Adam Haseley) can all be interchanged. If Luis Garcia has a breakout season, he can find himself king of the hill going into next year. Garcia is starting this season at A ball, two levels lower than the above Garcia. Though one could argue this could be giving Garcia more time to develop and not rush him. When comparing the two Garcias, this one is graded just a tick lower in hit tool and power, but has the same grades in defense. This does not concern me, as there is still plenty of time to develop as a hitter and gain power. Based on the small sample size of pabout 40 games last year, Garcia did a decent job of balancing his walk and strike out rates ( 8%BB and 11%K). I would imagine the strike out rate will rise, but if he can keep the walk rate around 8% then he should be in good shape. This Garcia stole as many bases as the above (12) last season, but hit only 1 home run. This just means that his power has not started to come yet. Luis is not projected to come to the majors until 2023, which is 2 years later than the above Garcia. Though the big positive for this Garcia is that there are fewer road blocks to eventually make it to the majors. Segura is signed through 2022 with an option for 2023. There are more questions regarding who is the long-term answer for second base and third base in Philadelphia than in Washington. There is no doubt that this Garcia is also a gamble. But based on the pace of development of levels and the age he may reach the majors, this Garcia may make more of an impact right away when he finally gets there. I see a similar skill set from both insofar as we can see power/speed combo with a decent average. The Phillies Garcia should be cheaper to trade for than the Washington Garcia at this point. First of all both of these guys are complete gambles at this point, but if you are looking to hit the lottery here is a decent place to start. Luis Garcia (WAS) will come up first within a few years, but can be a project to reach his full potential at the major league level. Luis Garcia (PHI) will most likely come up second, but by the time he does come up he may be closer to his ceiling projection. At this point there isn’t one far ahead than the other value wise, but if I had to choose one to buy it would be Luis Garcia (PHI). The better walk and strikeout ratio are more appealing and the fact that he may be a keeper by the time he reaches the majors rather than taking a few years to get there is more attractive to me. 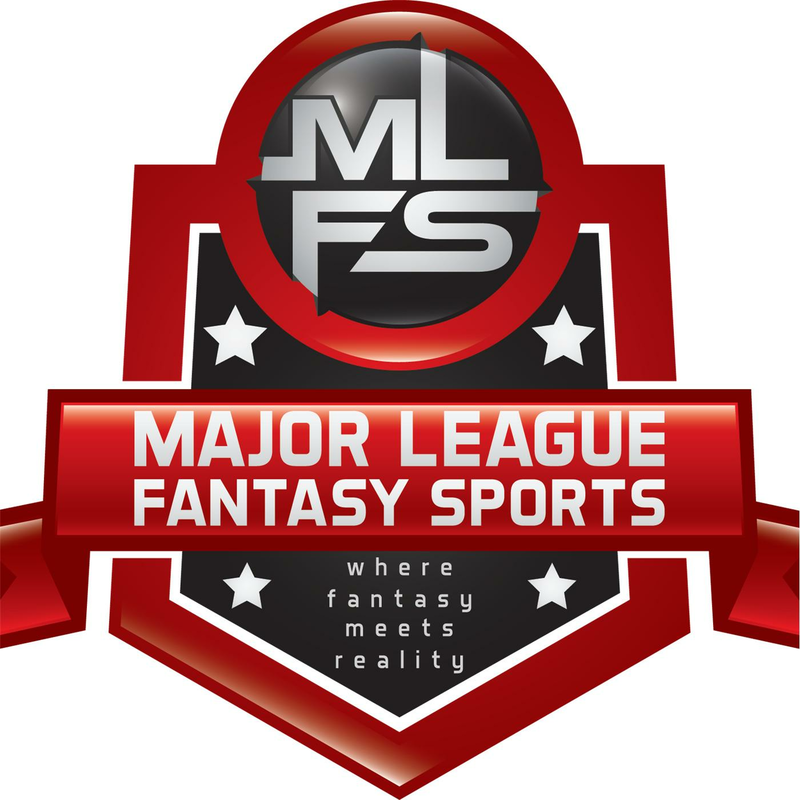 Major League Fantasy Baseball Radio Show: Join host Cole Freel, and Kyle Amore live on Thursday April 11th, 2019 from 7:30-9pm EST for episode #151 of Major League Fantasy Baseball Radio. We are a live broadcast that will take callers at 323-870-4395. Press 1 to speak with the host. You can listen live on blogtalk, majorleaguefantasysports.com, or download the podcast on I-Tunes or any Android podcast app. Cole and Kyle will discuss the latest happenings in the world of MLB and fantasy. They will take a look back on the previous few days and a preview of the coming weekend. Including spot starts, bullpens, offense, and minor league players.